Exercise doesn’t have to mean hitting the gym. Outdoor sports are an excellent way to improve fitness while having some fun. With plenty of options that really burn calories, anyone looking for a sport to try can find a new favorite pastime. Paddle boarding is great exercise. You can expect to burn twice the amount of calories that you do on a walk at a moderate pace. Leisurely paddling for an hour can burn more than 300 calories. If you’re just starting out, it’s best to go slow and avoid staying out on the water too long. The activity requires a lot of endurance and strength. It truly targets your abs, arms, shoulders, back, and legs as you work to keep yourself upright and balanced. 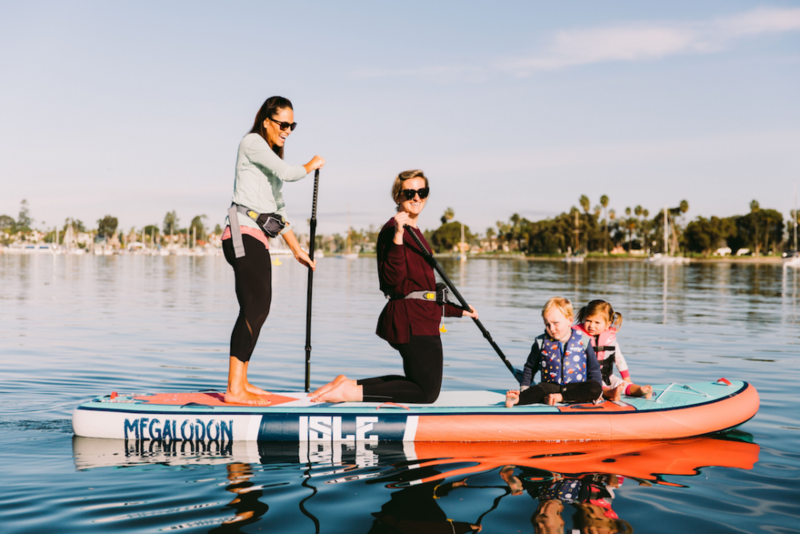 Don’t forget all your gear, making sure it’s in place within your paddle board car racks before heading out. Hunting may not seem like your typical outdoor sport, nor something that burns calories, but the activity can give you a good workout if you’re doing it right. The most important part is the long trek through the woods. Many hunters end up sloshing through muddy fields and low-lying rivers. With a pair of heavy hunting waders on, plus all of your other camouflage gear, you’re really working your muscles. Your legs will especially receive a good workout during a hunting trip. 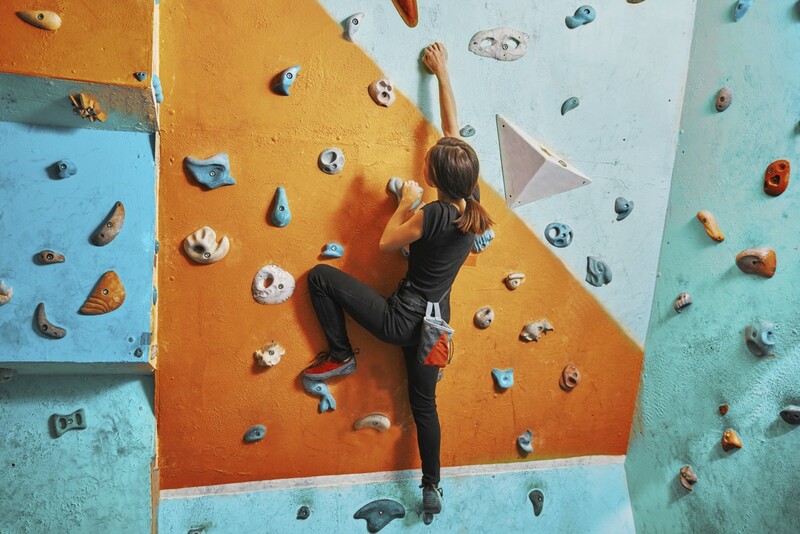 Rock climbing requires a tremendous amount of strength and coordination. You can burn an unheard of 750 calories per hour. The workout is intense for your arms, legs, back, shoulders, and chest. It’s best to start out trying small rock formations that do not stand too tall. Make sure you wear the proper gear, including gloves with a good grip and strong non-slip boots, to be safe while you climb. Swimming isn’t only possible outdoors, it’s possible indoors too. Many people enjoy the outdoor aspect because they get to feel the sun on their face as they enter the cool water. The waves and uncertainty of fresh water can also provide a more impactful workout. It’s possible to swim faster and smoother by practicing and building endurance. This will also make the workout more worthwhile. A hike up the mountains will leave your muscles aching. The long journey to your destination and back will work your legs the most. You can burn more than 300 calories per hour during the activity. It’s important to wear a good pair of hiking boots that will help you keep your footing. Both canoeing and kayaking require a lot of upper body strength. It will help you burn calories and build muscle in your arms, chest, and shoulders. It can even work the core as you make short twists to move the oar from one side of the watercraft to the other. Everyone heading out on a canoe or kayak needs to be sure to wear a life vest to stay protected in the case of a tip. With such a wide variety of outdoor sports options, anyone can find something they enjoy. Each of these activities and more provide a solid workout that can burn calories and help keep you in shape. Give one or more a try and see how much you can work up a sweat in the process.